Bill’s teaching includes that of mind, body, and spirit. He works with well-known herbalist, nutritionists, doctors, as well as psychology professionals, Buddhist monks, Shaman, and Grand Masters of martial arts to bring the latest in health and nutrition to his teachings and his website. (www.TheArtofUnity.com) He now travels worldwide teaching the principles in his book, “The Power of Personality Types in Love and Relationships,” as well as meditation and heath. If you’ve ever had the desire to use mouthwash then you know there is harmful bacteria, fungus, and other organisms in your mouth that cause bad breath. These bacteria also cause tooth decay, gum disease as well as many aspects of health in your body including your healthy gut bacteria, and the function of your organs including your heart. The problem is there are so many proven cancer-causing ingredients in most mouthwash brands, they do more harm than good. So what is the solution to eliminating this bad bacteria, without disturbing the balance of good flora in your mouth? Oil pulling! Oil pulling is an Ayurvedic practice for oral health that uses pure oils to remove harmful bacteria and other toxins from your mouth. It’s simple and has immediate results for good breath and improved taste, and has incredible long-term effects on many aspects of general health. This should be done first thing in the morning on an empty stomach before you eat or drink anything. The idea is to remove the bacteria in your mouth before it circulates into your body. Take one tablespoon of organic, cold-pressed vegetable oil and swish it around your teeth and gums for ten to twenty minutes. My favorite oil to use is Coconut Oil, but this can also be done with Sunflower, Sesame, or Olive oil. You might have to get used to the feeling, relaxing your gag-reflex, but if that happens, usually within a week that will pass. Then spit the oil into the toilet. Never gargle or swallow the oil because it is full of toxins. Now you are going to rinse with water. I prefer warm water, sometimes adding a bit of pink salt or baking soda because this creates an environment unstable for bad bacteria. Next, to further clear out toxins, I like to scrape my tongue with a spoon. This is very simply done by lightly dragging a spoon forward on your tongue and rinsing the spoon a few times. Once a week I like to brush my teeth with a tablespoon of hydrogen peroxide mixed with baking soda. This also clears out bacteria getting in between teeth and gums, as well as whitens teeth. Another whitening tip is to rub the inside of a banana peal on your teeth for about two minutes. Your teeth will pick up the minerals from the peal and become whiter. People have surprising results with this. 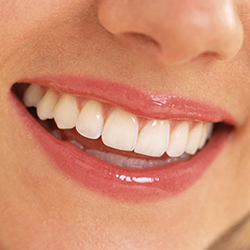 There is a lot of information regarding re-calcifying teeth with the proper diet. One of my favorite supplements for this is Cod-liver oil. In my own experience, Oil Pulling is great for fresh breath, a heightened sense of taste, and a clean fresh feeling mouth. It also slowly helps to whiten teeth. I have been told by experts that Oil Pulling can help heal or cure mouth and gum disease, bleeding gums, and toothaches or sensitivity. There are many other benefits for your entire body as well. In my practice people have told me they’ve had reduced cravings of alcohol and sugar, felt relief from PMS, helped with allergies and headaches, lowered fungus problems such as Eczema or rash, cold and flu, and research shows many other benefits as well.